Have you always wanted a home theatre setup? It’s now easier than ever, as modern technology brings more and more power to your living room. With flat screen HD TVs growing in popularity, it’s easier to find a bargain, and kit your room out. The highest spec equipment is readily available, and affordable for most modern homes. In this post, we’ll show you how to build the ultimate home theatre and entertainment setup. It’s perfect for keeping the family entertained with film marathons at the weekend. You can invite the guys over for the big match or a games night. Or, you can simply relax after a long day’s work. Let’s take a look. 4K TV – High definition flat screens quickly came to dominate the world of home entertainment. Then Ultra HD and LCD screens set the bar even higher. Now, there’s a new technology that is set to take things to the next level. 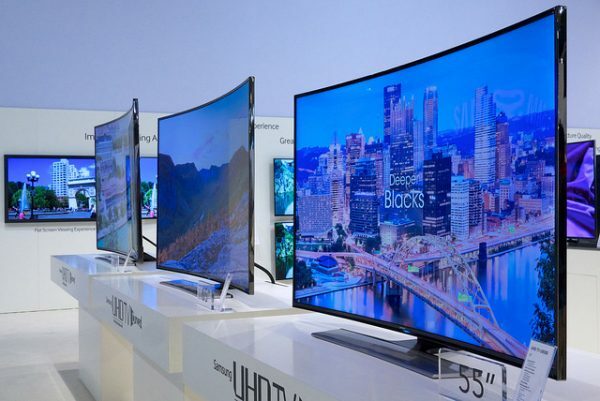 4K televisions are four times higher definition than the previous generation. That’s a staggering 8 million pixels on every screen. The result is a fluid, hyper realistic display that is unlike anything you’ve seen before. The 4K TV should be the centrepiece of your home entertainment system and theatre. TV Speakers – Of course, there’s no point watching your favourite films in super HD if you can’t hear every small detail. Modern TV speakers are equipped to handle theatre-quality surround sound. You’ll get the deep rumble of bass from the subwoofers. It will give you chills down your spine during your favourite movies! You’ll also get the directional surround sound from the location speakers. There’s no better way to experience the best films and games. Set top box – The last piece of the film and TV puzzle is the set top box. This is the piece of kit that provides all your entertainment needs. You can purchase a cable package, and get access to hundreds of channels instantly. Alternatively, you can stream Netflix straight from the set top box. That means instant access to all the best movies and exclusive TV shows. Games console – Now that you’re all set up for films and TV, it’s time to get the games consoles set up. Your first big choice is deciding between the XBox One and the PS4. Both are the current pinnacle of gaming, and a great addition to your home technology. With wonderful graphics, and a host of fantastic games to choose from, both are winners. In fact, why not buy both? You could also get your hands on a Wii for the whole family to enjoy. Comfy chairs – Last of all, you need a comfy place to command your home entertainment system. A big, adjustable armchair is the best option here. You can even go overboard, and invest in one with massage functions and heating. If you want to watch movies and play games in style, it’s the only way to go! With each of these items in place, you’ll create the ultimate home entertainment system. You’ll never want to leave the house again!